A visit to Juut is your time to take a moment to focus on yourself. And that little slice of time is needed more than ever during the hectic holiday season. This year, let us do more than deliver a fantastic cut and color—let us ease your holiday shopping burden. From small tokens of appreciation to grand gestures, we have the perfect gift for everyone on your list. Read on for our 2018 Holiday Gift Guide. This year, we created the ultimate Aveda gift list by asking the experts: We polled 100 Juut stylists for their best gift ideas, holiday party advice, stocking stuffer favorites and more. These ideas will make everyone on your list happy and allow you to have a stress-free shopping experience. Stop by Juut to talk to one of our beauty experts if you want extra help curating your gift list. Best Stocking Stuffers: Great for men and women, these travel-size products are perfect for the cold winter months. 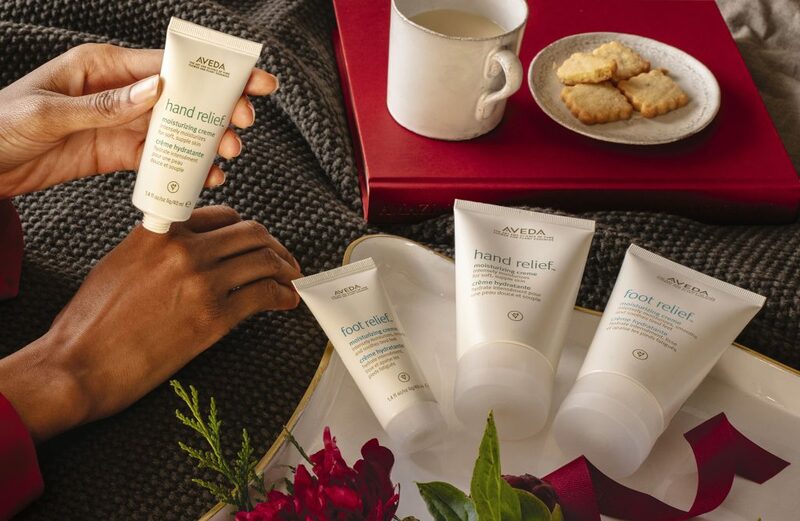 Hand Relief Moisturizing Crème: Stash this in your desk, car or purse to relieve dry skin throughout the winter. Travel-Size Air Control Hair Spray: To tame dry, flyaway hair anytime, anywhere, this little bottle of magic is a must. Travel Products – All of them! : With Juut’s holiday travel promotion, purchase any 4 travel products* for $25! These are great if you’re traveling for the holidays, if you need a little hostess gift, or if you’re doing a gift exchange with coworkers. There’s literally something for everyone! Best “Wow Factor” Gift: When you need something for mom, your spouse or someone really special in your life, choose one of these amazing gifts. Day at the Spa: Whether you choose a full-body massage, a mani/pedi, a facial, or mix and match services to suit your loved one, a spa day is a true gift of pampering. Juut gift cards are available in any amount and can be tailored to fit the exact amount needed for any specific service(s)! 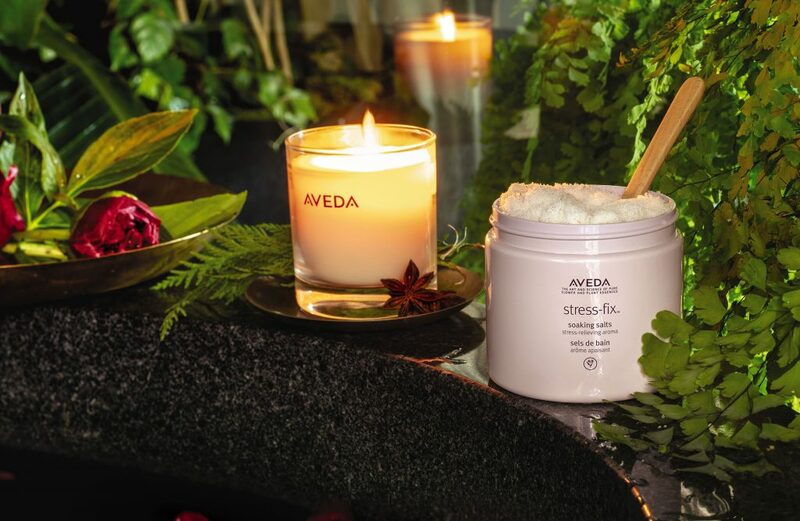 Tulasara Skin Care Products: Aveda’s line of high-end skin care delivers results with natural ingredients. The Tulasara Wedding Masque and Wedding Masque Eye are fan favorites. Liters of Shampoo/Conditioner: Know your mom’s favorite Aveda shampoo/conditioner? Stock her shower with liter bottles. She’ll be thanking you for months. Best Gift to Have on Hand for Anyone: Did a neighbor pop by unexpectedly with a gift for you? Never fear, these three gifts are perfect for anyone. Hand Relief and Foot Relief Gift Set: Give to the hands (and feet) that give you a hand! These intense-moisture lotions will drench dry skin all winter long. Candrima Candle: The warm, clean scent of Candrima is a limited edition candle available throughout the holiday season sure to make any house feel extra homey. Stress-Fix Soaking Salts: Mineral-rich salts with a stress-relieving aroma elevate a bath into a relaxing spa experience. Best Product to Carry With You Throughout the Season: Party hopping on the weekend? Attending pageants and plays? These Aveda products will keep you looking and feeling great. Feed My Lips Lipstick in Vibrant Red: Nothing says, “holiday” like bright red lipstick. 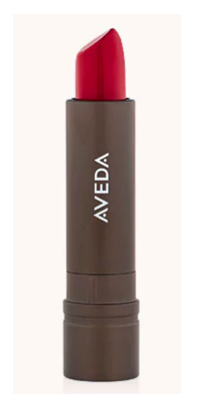 This shade fits the bill and features a long-wearing formula with natural ingredients. Peppymint: Discreetly freshen your breath with a quick spray of natural peppermint and anise. Shampure Dry Shampoo: No time to shampoo? No worries. This dry shampoo will revive lackluster locks and get you through another day or two. Best Gifts for the Man in Your Life: Coming up with gift ideas for the men in your life can be a challenge. There are only so many ties and golf clubs you can buy. Think out of the box this year with one of these great gifts. 90-minute Massage: Men love pampering, too! Book him a massage (and maybe one for yourself). A Gift for the Well Traveled Man: Everything your man needs for holiday travel or if he’s just always on the go! Great for the gym or traveling to the in-laws, A Gift for the Well Traveled Man includes Travel Shampoo, Conditioner, After Shave and Shave Cream all for just $25! Leela Diffuser Oil and Serene House Diffuser: Give him a gift that will keep on giving! Juut’s Leela Diffuser Oil comes in Awake, Relax and Embrace. Expert Advice: The Juut stylists we polled had so much great advice on holiday shopping, that we had to include a few more of their favorite tips. 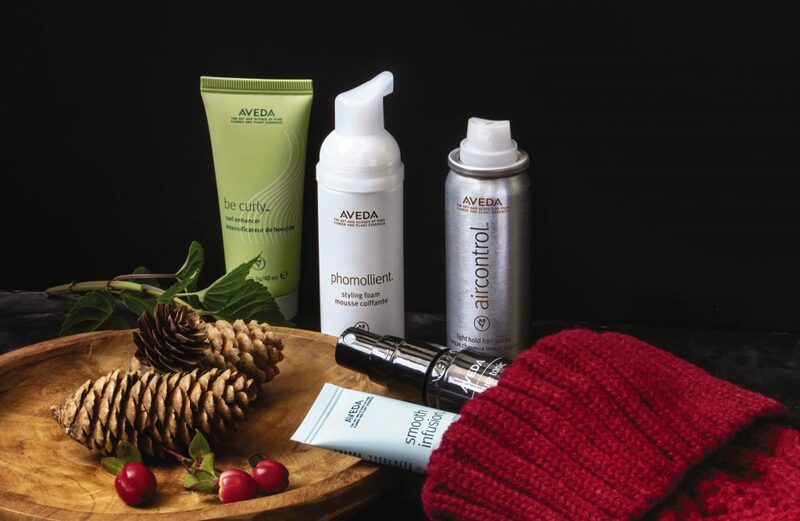 Aveda beauty products and services make great gifts for anyone, but particularly for that one person on your list who has everything. A massage, pedicure or a beautifully-scented hand lotion is always a welcome gift—especially from the best salon in Minneapolis, Palo Alto, Tempe and Scottsdale. Still feeling overwhelmed by your choices? Ask for guidance from our beauty professionals. Juut stylists can help create the perfect spa day, put together a unique gift set or fill a bag full of unique stocking stuffers for your loved one.